Saturday the 20th of June 2015 was a particularly memorable day. 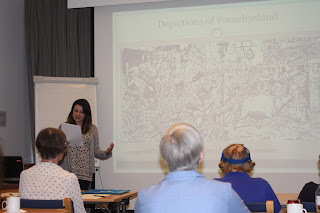 Starting at 10.00 a.m. we were treated to a superbly enthusiastic talk by Emma Butcher on the Bronte heroes, Wellington and Napoleon and the Juvenilia which to my discredit I knew little or nothing about. 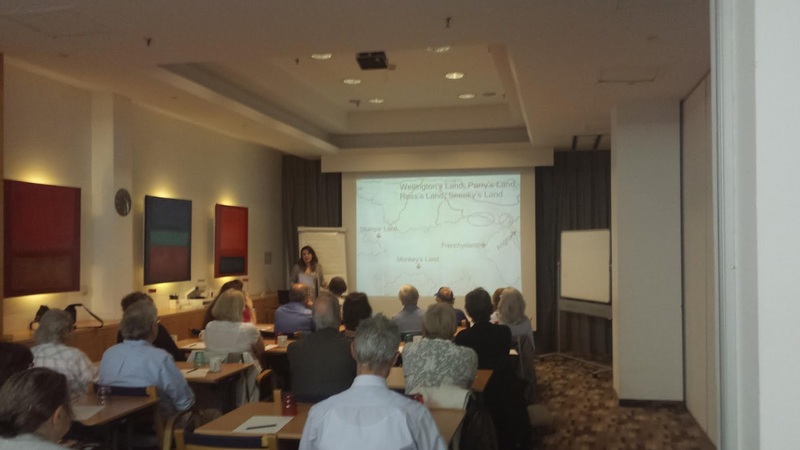 The talk was followed by a relaxing lunch where people mingled and set the tone for the subsequent coach journey to Waterloo. 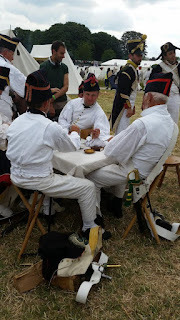 As we stepped into the coach a parade of French militia drummed its way behind us for a few minutes before the coach moved off, whetting our appetites for the afternoon. We were blessed with a gorgeous day and our party walked up to the village where we split up. 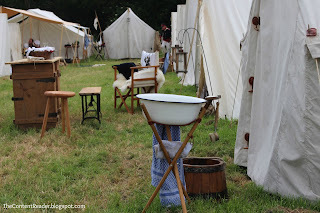 I spent the afternoon with Joanna and we trekked the considerable distance to the French Bivouac. Because of the great distances choices had to be made so the Allied Bivouac had to be missed. 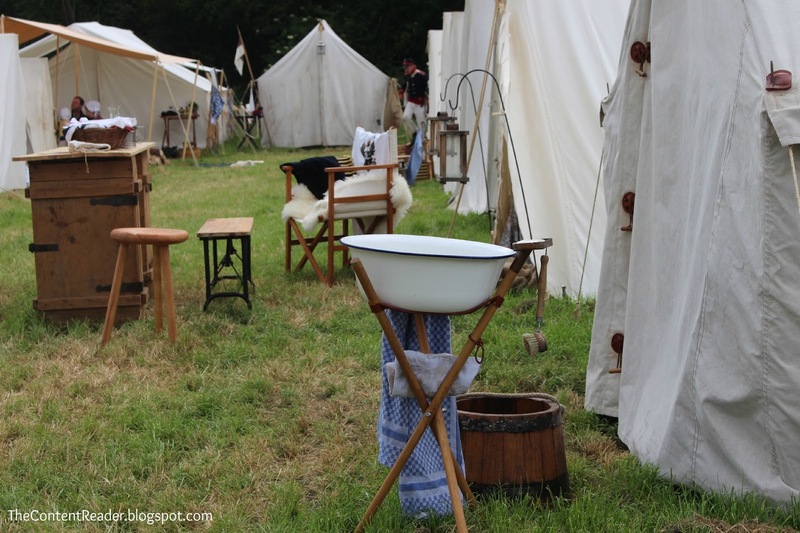 I have to admit a great deal of our enthusiasm was actually looking for loos which were pretty nonexistent unless actually on the site. 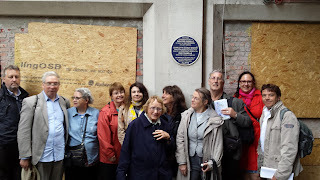 On Sunday morning the UK Brontë Society group were not too exhausted by the long afternoon at Waterloo the previous day to enjoy a guided walk by Jones Hayden around the site of the Pensionnat Heger and other places known to Charlotte and Emily around Place Royale. The group was joined by a couple for whom our Brontë tour was part of rather a special weekend, Guy and Evy from Menen near Ypres. Guy is head of the Menen tourist office, Evy a researcher at the Memorial Museum Passchendaele 1917. Guy had planned a romantic break for the two of them in Brussels which he called a ‘proposal weekend’; he was going to ask Evy to marry him, and knowing her interest in the Brontës, he booked our tour as part of the programme he had put together to impress her. ‘The proposal weekend and the Brontë walk was a surprise organised by Guy, I just knew when to pack my bags, destination unknown. ‘I have always been interested in 19th century English literature, especially the Brontës, Jane Austen, Mary Shelley, etc. - how these authors stood up for themselves in a male-dominated society and pursued their passion for writing. And of course the love stories with sometimes unrequited love. A quite unusual Brussels Brontë Group event took place on Saturday 20 June. 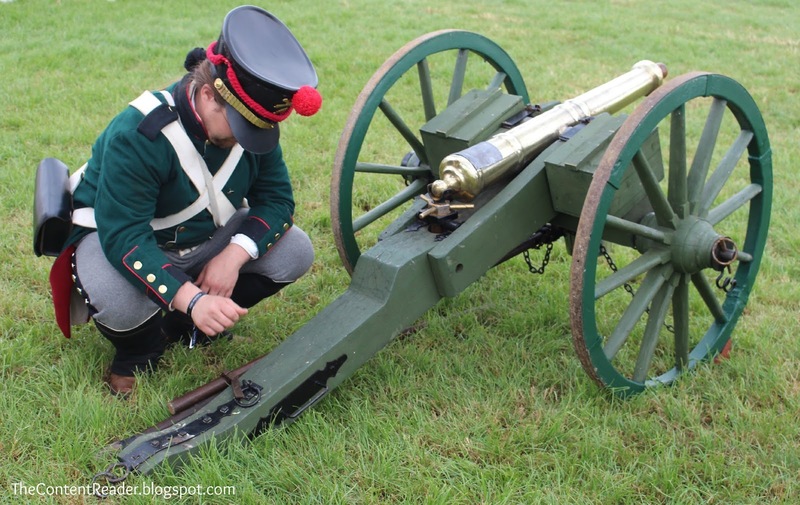 Due to the bi-centenary of the Battle of Waterloo, which was fought on 18 June 1815, we had the pleasure to welcome a group from the Brontë Society. Since Wellington and Napoleon were early heroes of the Brontës, the Society decided to take this opportunity to organise a visit to Brussels and meet our group. They kindly invited us for a lecture on Saturday morning. The lecture on The Brontës’ Early Heroes was held by Emma Butcher. Emma is still a student, and already a very accomplished and wonderful speaker. Since Emma is writing her thesis on The Brontës and War, she has done a lot of research into this particular interest of theirs. Apart from some background information on both Napoleon and Wellington, we got an interesting ‘guided tour’ through their Juvenilia creation of Anglia, with their dashing characters of Zamorna (based on Wellington) and Percy (based on Napoleon). It is amazing how imaginative they were. Emma also told us that apart from one woman, Elizabeth Hastings, all the women in their Juvenilia writing are rather helpless creatures. They obviously came a long way, when it was time for them to create their own very strong, female characters. Brontë Brussels Past Historians: Joseph Joshua Green. In July 1842 Dr. Thomas Wheelwright, his wife and five young daughters, arrived in Brussels. The girls studied at the Pensionnat Heger, where Emily Brontë gave them piano lessons. The girls didn't enjoy these lessons as they took place during their valuable school playtime. At least one of the Wheelwright daughters, Laetitia, disliked Emily a lot, yet on the other hand she was to become a lifelong friend of Charlotte. Another of the daughters, Julia, died sadly in Brussels on the 17 November 1842, apparently from a typhoid fever. The Wheelwrights left in August 1843. 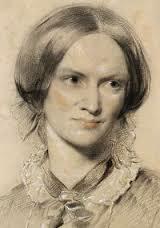 The family has always been very cooperative to Brontë historians, from Mrs. Gaskell to Mrs. Chadwick onwards. An important article about the Wheelwright family, named 'The Brontë-Wheelwright friendship', was written by Joseph Joshua Green. It was published in 1916 in the somewhat obscure Friends' Quarterly Examiner (in two instalments). Thus very few people have actually read the article, while only small parts have been quoted in most biographies. Thanks to internet we can now present it to you. Click here to access the article (it has to be opened page by page). Joseph Green was a genealogist from Stansted Mountfichet, Essex. Many titles of publications of his can be found on internet. He was born in 1854, into a Quaker family. He inherited his father's shop but was happy to give that up in 1891 to devote himself to History, citing health problems. He died in 1921 in Hastings. Green was married to a daughter of Laetitia's sister Emily. His article begins with some interesting genealogical details. He then describes the Brontë- Wheelwright friendship and the mementoes of it which remained in his family's possession at the time of writing. It makes fascinating reading. Even though he reports how valuable Brussels material was thrown into the fire and destroyed (pp.119 and 237), there are tantalising visions of what might still exist, and which did exist when the article was written. There are "two large albums with mementoes of their travels, both in Germany and Belgium"(p.121), and also "a large coloured plan of the Protestant Burial Ground at Brussels showing the place of her [Julia's] interment" (p.221). Green also mentions the possession of "a tiny bouquet of dried flowers from the pensionnat garden" (p.226). It seems most of the Wheelwright papers ended up in the United States. Such was the fate of many British literary documents coming up for auction between 1918 and 1930. British literature suffered an unfortunate loss of much of its heritage during this decade. Nearly all letters from Charlotte to the Wheelwrights are also to be found now in US collections. And nobody knows whatever may have happened to the tiny bouquet of flowers from Heger's garden. Green wrote his article in the middle of the First World War, a few years after Frances, the last of the Wheelwright sisters had died. This year 1916 more or less saw the end of an important period of Brussels Brontë research, and the beginning of a very long barren period, with only the exception of Edgar de Knevett's 1923 article. The Wheelwrights were living in Hotel Cluysenaar, which later became Hotel Astoria. A new article about the history of this Hotel follows below. 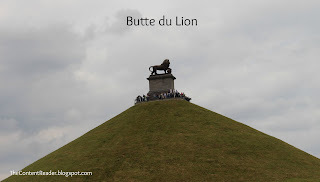 At the same time one can now find on the research website page of the BBG a new A to Z of all the articles related to places and friends connected with the Brussels of the Brontës, published on the blog since 2007. It’s great that the BBG, now founded almost 10 years ago, has also resulted in a big leap forward in our knowledge of Charlotte’s and Emily’s stay there. 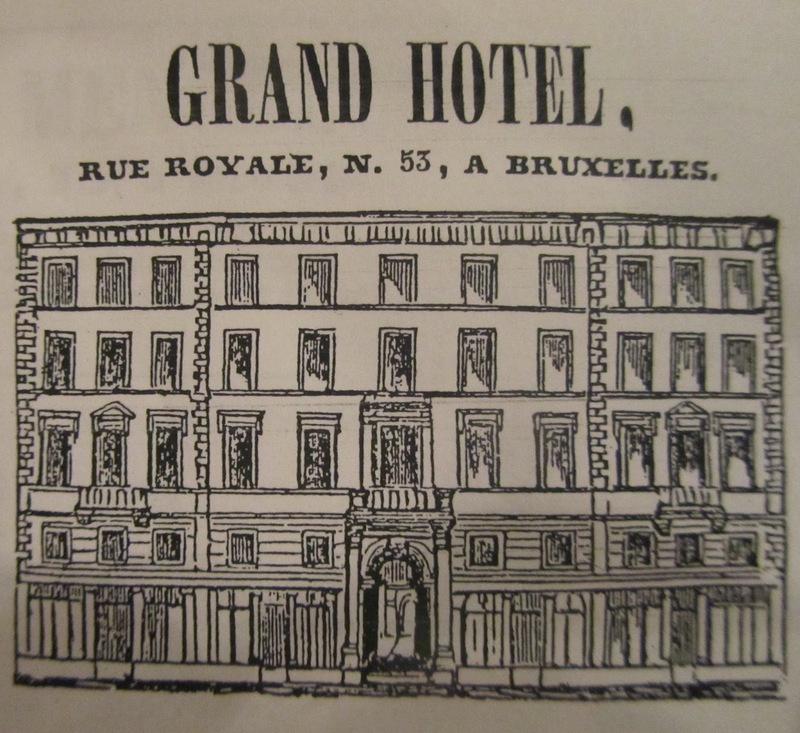 The Hotel Cluysenaar, on Rue Royale, which later became the Astoria Hotel, is more than likely the original model for the Hotel Crécy in Villette. This is how Charlotte describes it (Vashti chapter): “It was an hotel in the foreign sense: a collection of dwelling-houses, not an inn - a vast, lofty pile, with a huge arch to its street-door, leading through a vaulted covered way, into a square all built round”. The hotel was built in 1838 by the architect J.P.Cluysenaar (1811-1880) born in Kampen in the Netherlands. Other well known works in Brussels by Cluysenaar include the Galeries Royales Saint-Hubert, the Conservatoire Royal (the new one built in the 1870s) and the kiosk in the Parc Royal, the latter also being mentioned by Charlotte in Villette (chap.38). Cluysenaar not only built the hotel but also owned it; financial troubles, however, forced him to put it up for sale in 1843. In its early days, the Hotel Cluysenaar was a much-publicised residence, attracting a wealthy and mainly foreign clientele. As Charlotte suggests, it was indeed more a set of well-furnished apartments than a hotel. 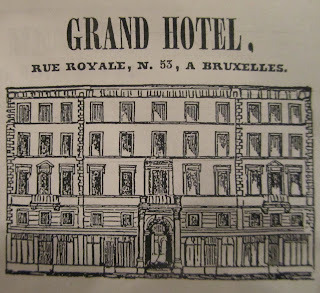 A precise description of the hotel as Charlotte would have known it is found in the l'Observateur belge (15 September 1843). Here we learn that the ground floor consisted of five shops, three apartments, a courtyard and five stables. Six imposing staircases led to an entresol containing five large apartments, and to the three main upper floors, each holding ten apartments. Over the years I have been doing historical research for people all over the world, a few of whom became friends. Sharon van Deursen from Wellington, New Zealand, is one of them. I have known her since 2002. Wellington is of course the place where Mary Taylor, Charlotte Brontë’s friend, emigrated to shortly after her time in Brussels in 1842. Wellington, as far away as possible from here. It has always intrigued and impressed me that Mary Taylor went there. Sharon’s parents emigrated to New Zealand in the 1950s, from Holland. 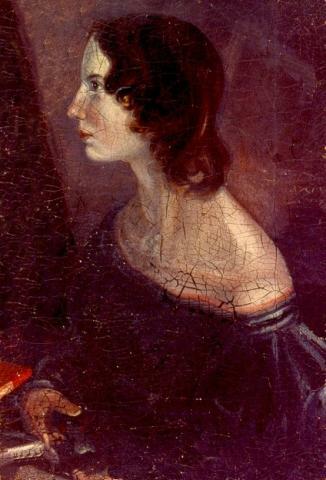 She has always loved the Brontës’ novels, her favorite is Wuthering Heights. Recently I asked Sharon to make a picture of the place of Mary Taylor’s house as it looks today. 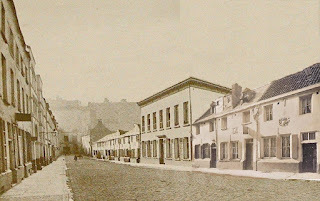 The original house, or rather two houses of course – the place where she lived and her shop – were demolished long ago. She came up with a full report, having also gone to the Wellington Archive, and having made a nice little Mary Taylor discovery. Sharon also mentions there is a new campaign for Mary Taylor to get a plaque in Wellington, after a previous attempt failed. Let us hope it will be successful this time, as Mary Taylor certainly deserves that. Hmmm where do I start? Google! I love Google, Google is my friend. They say that New Zealand is really lucky to have a visual history, because the camera had been invented, apparently everyone had one and everyone was taking photos, unwittingly taking photos not only of great Auntie Grace and the family, (where no one smiled!) but of the house, streets, buildings, popular landmarks and of course panoramic views, thus creating the above said visual history. Brief Background...care of said Google. Mary Taylor was born in Yorkshire, England on the 26th of February 1817. She met Charlotte Brontë and another girl named Ellen Nussey at school in 1831, when they were just 14 years old and the 3 became close friends. But in 1840 Mary's father died leaving debts which split the family up. It was then Mary decided to emigrate to New Zealand, (after a stint in Brussels) to see her younger brother, William Waring Taylor who had emigrated here to Wellington in April, 1842. By 1843, he was running a general business and importing agency, living in and trading from his wooden colonial house on Herbert Street, Te Aro, a thriving commercial hub fairly near the water front. 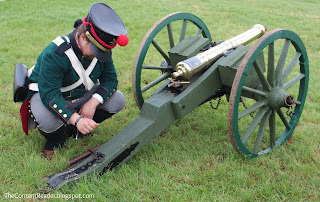 Remember the Wellington Settlement was only 5 years old at this time. Now it has been the capital city of New Zealand since 1865.